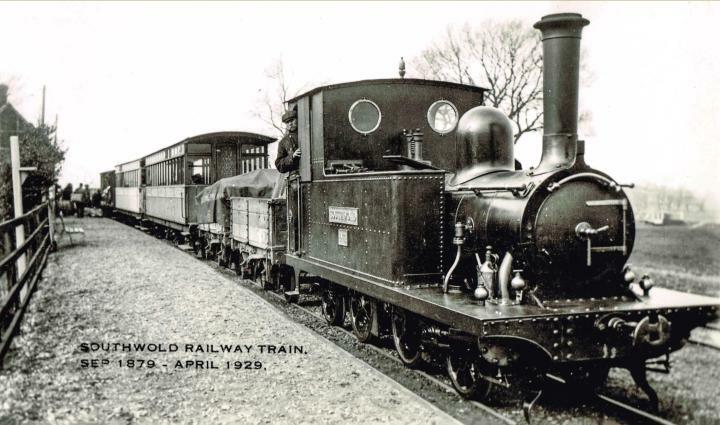 The Southwold Railway – England’s premier three foot narrow gauge passenger railway! This week its ninety years since the last passenger trains ran. 2019 is also the 140th anniversary of the line’s opening. This somewhat quirky railway was in service for just fifty years, and remained moribund for several decades more. It has left a considerable mark on the history of this corner of Suffolk. The railway is still affectionately discussed and there is an ongoing project to restore some of the railway with progress being made at both ends of the line. What was quirky about the railway? Well it wasn’t allowed to go very fast (hence its rather early demise – not forgetting the usual bugbear, road competition) – the line’s maximum speed being 16 miles per hour. The reason for this slow speed is the line was authorised before the Light Railways Act of 1896, which allowed a top speed of 25mph. Perhaps the quirkiest aspect of the railway is the fact it was officially abandoned in the 1990s. That’s well over sixty years after it had closed! All the passenger carriages had doors on the southern side only and it followed that there were curtains, also on that side too. The reason for this were the platforms which were all on that side, there was no need for decency curtains on the other! The Southwold had one other distinction that set it aside from Britain’s other railways. Like a number of other minor railways, it wasn’t incorporated into the pre-grouping. 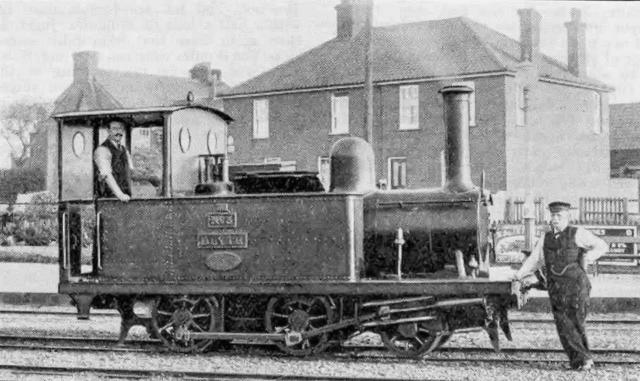 It was left to struggle on its own and the LNER itself refused to offer financial help even though it was also somewhat dependant on the through traffic to Southwold. In those heady days of the early 20th Century there were two main ways of getting from London to Southwold. One was by paddle steamer from Tower Bridge. It took a good few hours but it was possible to do a round trip in the summer and spend a couple of hours in Southwold. Failing that there was the train from Liverpool Street. There was no problem reaching Halesworth. In those days it was a main line station and there were regular expresses to either Lowestoft or Great Yarmouth. From Halesworth it was a case of taking the Southwold Railway itself. This was a journey that took approximately 35 minutes to the seaside resort. A somewhat quaint trip for its carriages offered no luxuries of any sort. Seating was longitude and it was all wooden, no cushions of any sort. The interiors were lit by paraffin lamps. Very austere. By the end of the 1920’s quaint was fast becoming something people no longer wanted. Motor buses and coaches were all the rage. 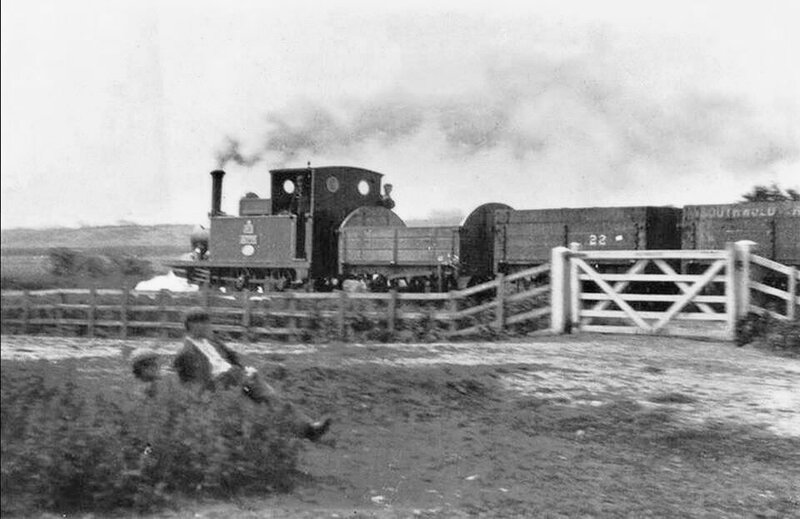 Those with a penchant for the Southwold Railway’s hardened and rather unforgiving travelling atmosphere were becoming fewer as there were now far more comfortable ways of travelling. 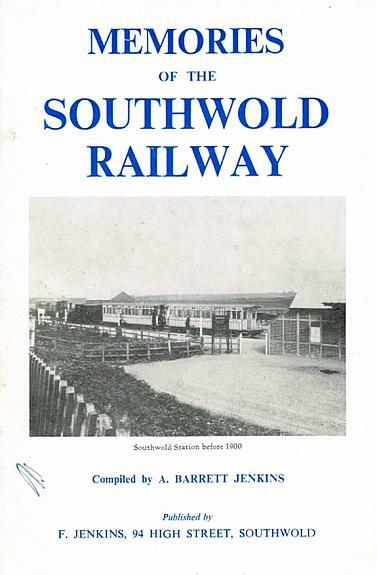 As a small kid I had not known about the Southwold Railway, clearly we were used to the more modern modes of transport in and about London, preferably electric trains or London’s red trolleybuses or those driven by the internal combustion engine – anything else must have seemed quaint and perhaps not worth mentioning. However I remember the Kelvedon and Tollesbury light railway if that’s anything to go by! 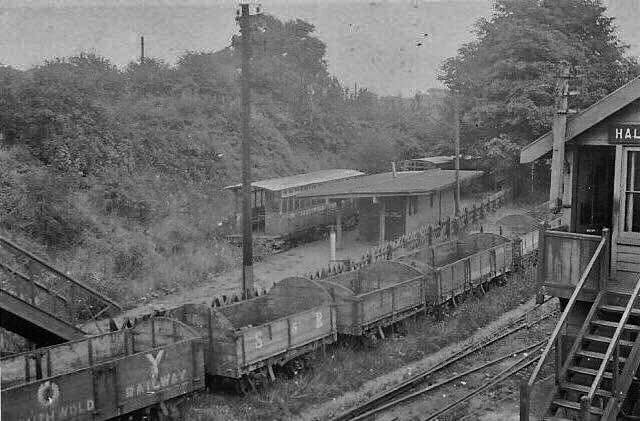 In those days the low level station at Kelvedon still remained and and goods trains could be seen shunting in readiness for a run along the light railway. The line’s impressively curved cutting could be seen from a train passing on the nearby main line. Of course today there’s nothing to see, its all housing upon Feering Hill. The cutting was filled in about 1970. No mention was made to me of the Southwold Railway until about 1965 when one of my relatives gave a photograph of it and informed me they had used the railway in their younger days. Inspired by the photograph I had been given, I set to find out more about the Southwold Railway and this entailed acquiring a copy of the book by Alan Taylor and Eric Tonks. I was perhaps eleven years old when I saved and spent several weeks pocket money in order to purchase this book. This was the first ever railway book I bought and still have it. Taylor’s and Tonks’ book was originally privately published in 1950. The 1965 edition was much expanded and also very unusually published by Ian Allan Ltd. I say unusually because Ian Allan Ltd were very strict about their house style (name, logo, design) being present on each and every one of their books and magazines yet this one book was allowed to remain quite incognito and bore little sign of corporate interference. My copy of Alan Taylor and Eric Tonks’ book, published by Ian Allan 1965. I used the font to create the title on this page’s specially created feature picture! A second edition was issued in 1979 with a picture on the cover. The publisher this time was Littlehampton Book Services. I have explored the Southwold Railway route and have pictures of Halesworth station when it still had its change for Southwold nameboards (as well as the famous level crossing platforms that had by now become fixed.) 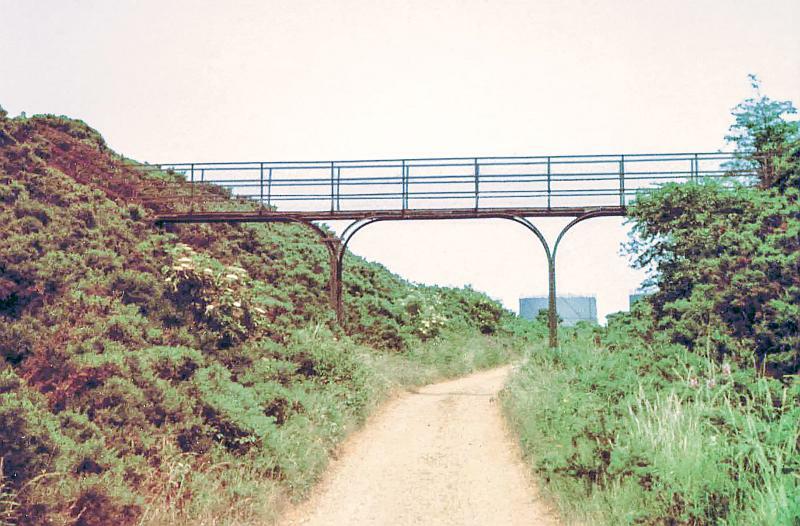 There was also the footbridge on Southwold Common which was built from the rails of the narrow gauge line, and a fair bit of the harbour branch still remained in situ, as well as the original bowstring bridge across the River Blyth. There was the road bridge across the former line at Blythburgh, which was extant for many years and could not be mistaken as one travelled over it by coach or car. Even after the bridge’s demolition, the hump remained as an embankment. Mr Jenkins, one time councillor, former Mayor of Southwold and one of the original curators of the Southwold museum is perhaps the only other character I have met who rode the former railway. He showed me around the museum decades ago and is of course the guy who wrote the book Memories of the Southwold Railway. 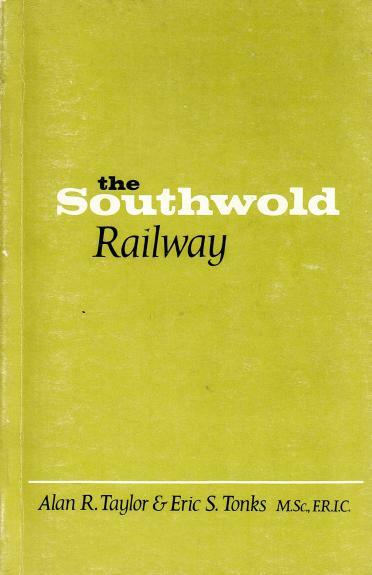 Arnold Jenkins’ Memories of the Southwold Railway (1968.) I personalised my copy of the book with a scribble! Mr. Jenkins too is the guy who photographed and filmed the railway’s last days of existence. There’s a picture later in this post of Mr Jenkins with his cine camera at Southwold station in the railway’s final days. 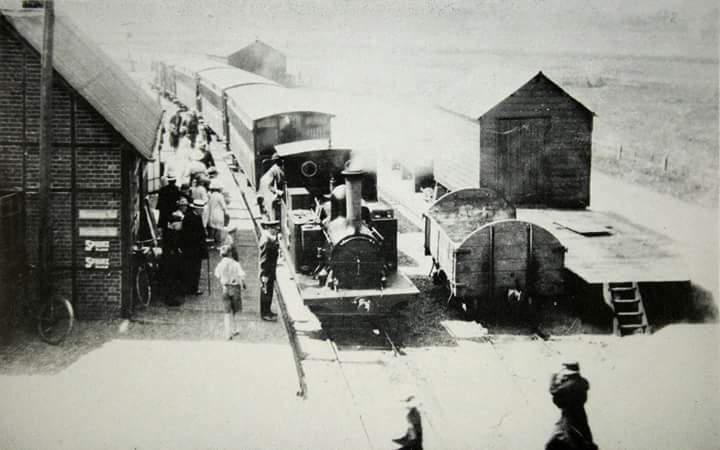 The Southwold Railway opened on 24th September 1879. The day was punctuated by extremely heavy rain and flash floods – and they nearly had to abandon the train services! 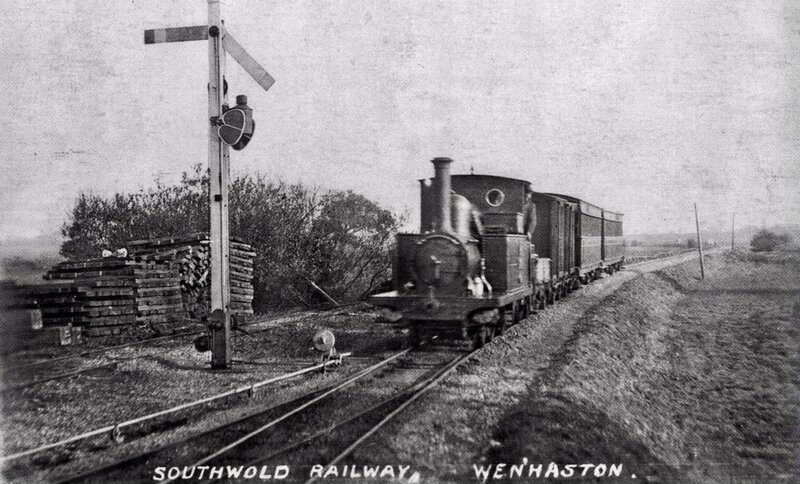 However the first train managed to make the full round trip, whilst the remaining services ran Southwold to Wenhaston only. 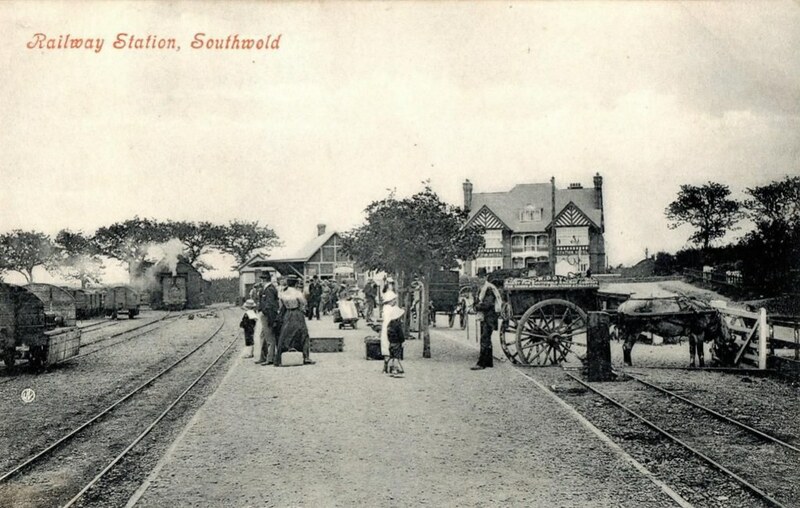 Nice view of Southwold station with No 3 Blyth waiting to take its train to Halesworth. 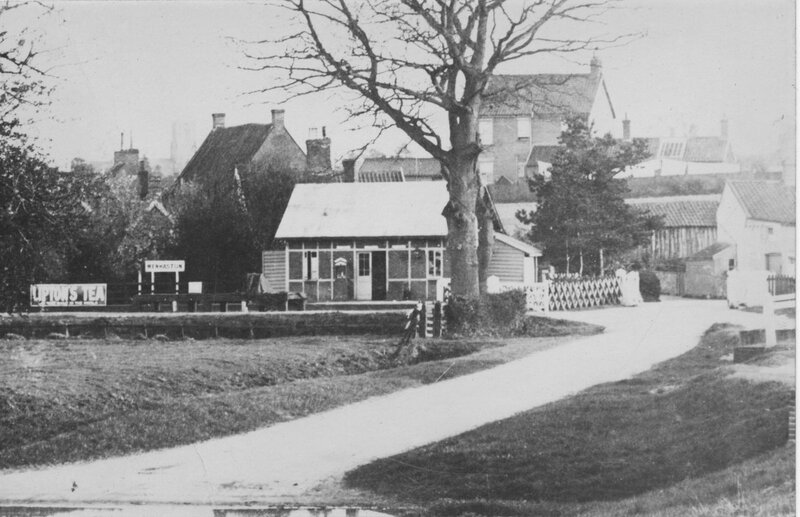 From the station itself the line headed across Southwold common and soon entered the largest cutting on the entire route. This present day view on Google Street shows the start of the cutting itself. Its been a public footpath for the last seventy years or so. This footpath was what enabled me to begin my explorations of the old railway line. The cutting on Southwold Common seen from the footbridge built in 1902. As the line traversed Southwold Common it gradually fell towards the River Blyth and soon the junction for the Southwold harbour branch was passed. Almost straightaway the line crossed the River Blyth by means of a twin span bridge, one of which was a swing bridge. 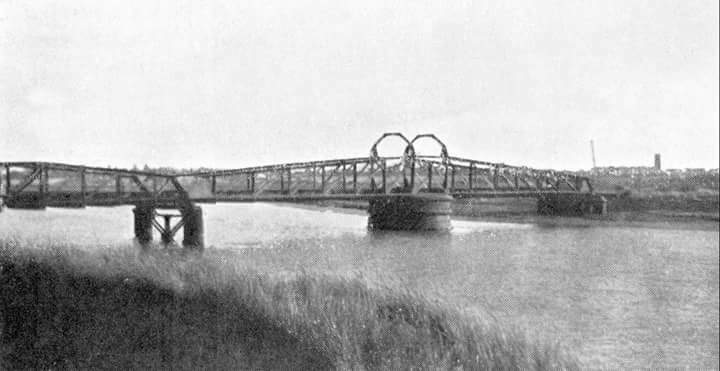 The need for this swing bridge was because the River Blyth was navigable to Halesworth. The navigation was sporadically used just a few years after the railway was built and ceased altogether in 1911. 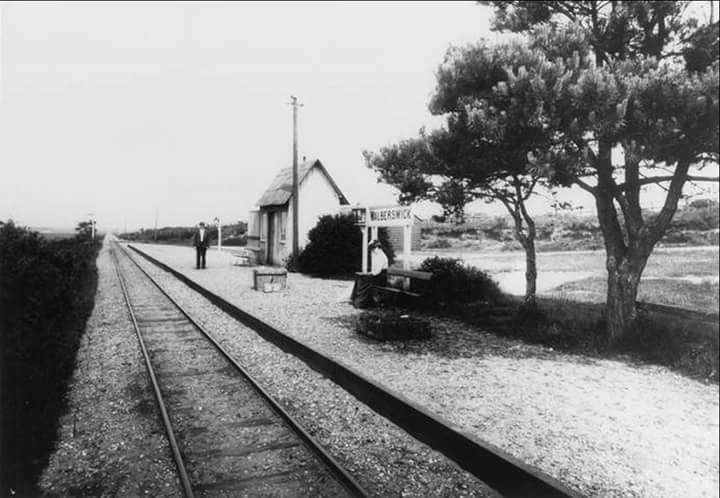 The next station, Walberswick, was nearly a mile from its namesake, and consisted of a simple affair. There wasn’t even a proper road to the station in those days. 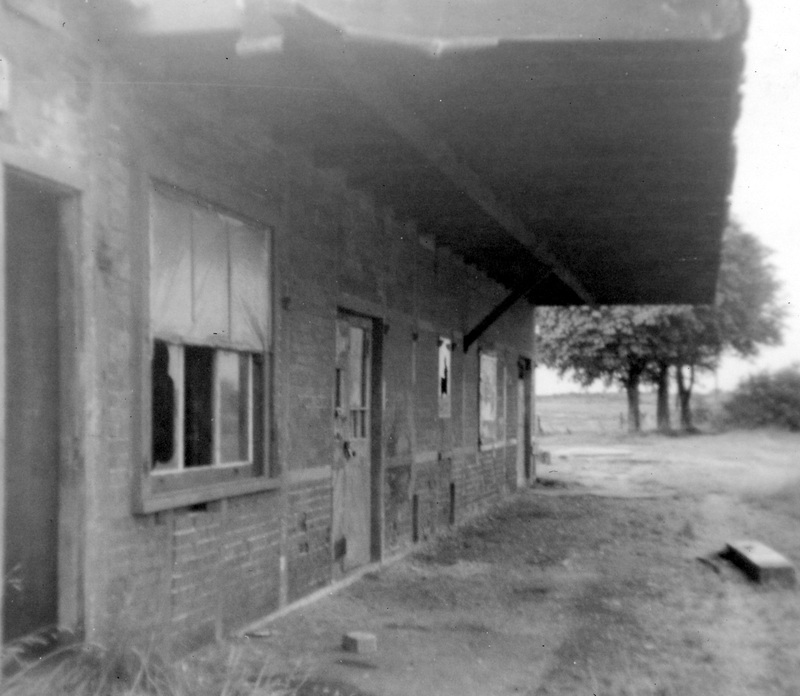 However complaints soon ensured the railway put in a bigger station building – no doubt to give the passengers more comfort at this isolated spot! The line used cuttings and embankments to navigate this part of the route through the woodlands. It even managed a minor overbridge! The following pictures show the section through the woods was quite spectacular, the line itself having gained a considerable elevation and offering great views across the Blyth estuary. 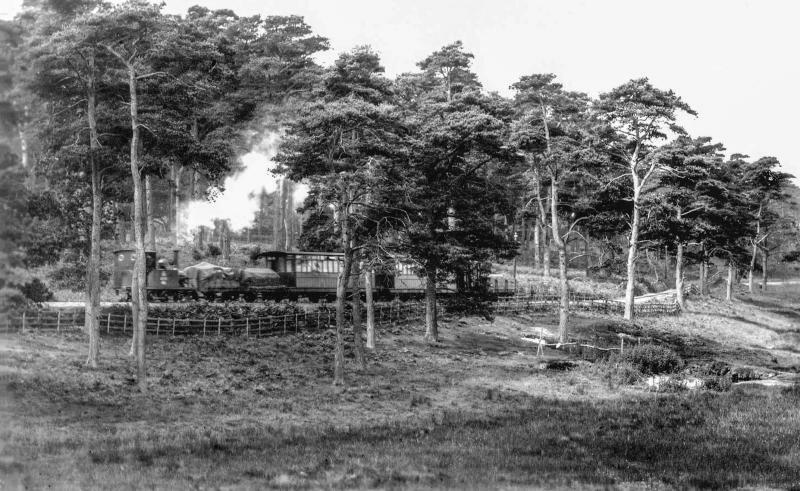 In the next picture it can be seen how the line climbs through the Heronry woods towards Blythburgh, the substantial gradient to the rear of the train can be seen quite well. Most publications show a somewhat cropped version of this view of the line through the Heronry, however this in my collection is clearly a wider shot and this shows the gradients hereabouts to good effect. 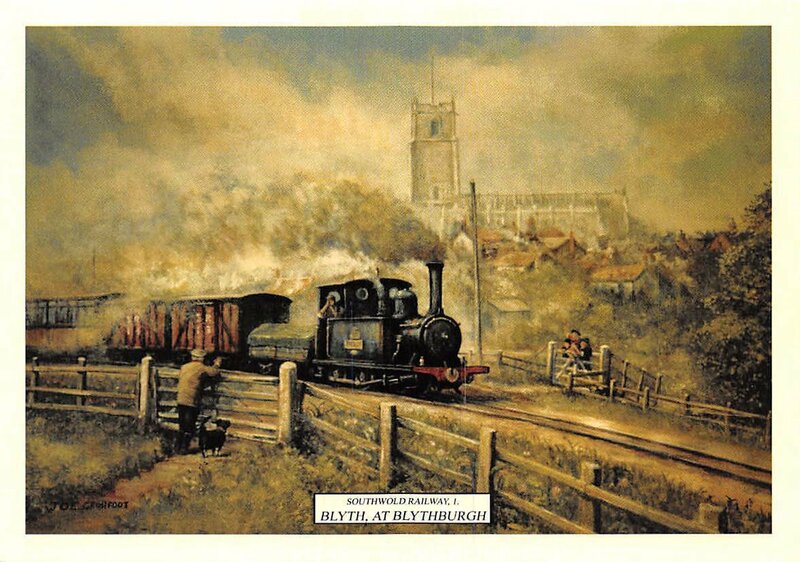 The train is bound for Southwold, sometime between 1909 and 1914 and the engine is no.3 Blyth. Besides Southwold and Halesworth, the only other station of substantial importance was Blythburgh which had a passing loop and a goods yard. The passing loop was quite new in terms of the railway’s age, it was installed in 1908 previously there was just a siding here. 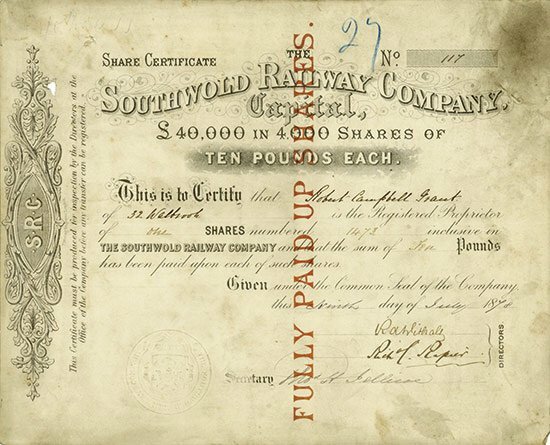 This was also where the line tokens for the Halesworth – Blythburgh – Southwold sections were exchanged. The same view today as seen from road level. 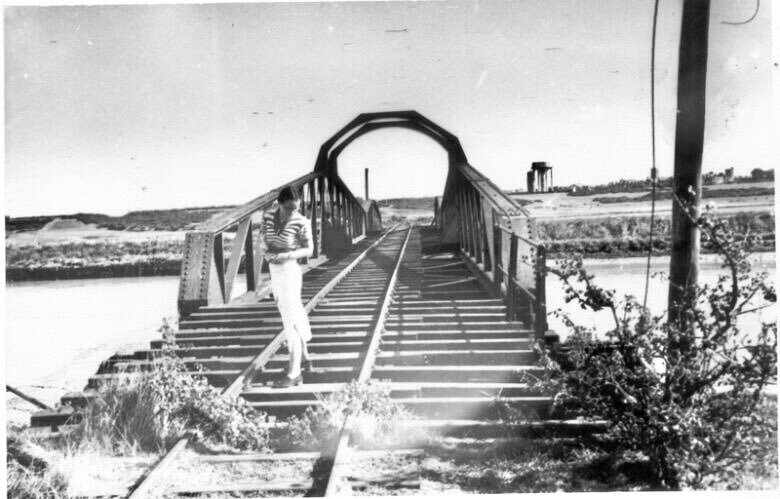 The bridge was removed in 1961 and the gap filled in to provide a continuous embankment. However that too was levelled in order to make the road wider and the approaches more safer. Exchanging the line tokens at Blythburgh. The larger one for the Blythburgh to Southwold section can seen in the station master’s hands. This consisted too of the keys for accessing the railway’s harbour branch. This token is now in the Southwold museum. In the background can be seen part of the bridge that carried the A12 road from London to Norfolk. Blythburgh church is a pretty substantial building full of history. It stands on a hillside overlooking the estuary and because of its imposing presence is known as The Cathedral of the Marshes. Wenhaston was the next stop, there’s very litte trace of this station even though it was a much pictured one. The line crossed the River Blyth once again about half a mile west of Wenhaston station. Here at Wenhaston too was the line’s one and only substantial road level crossing (although there were some minor crossings on other parts of the line.) This was necessary due to the flat nature of the countryside. Even though it was also flat terrain at Blythburgh the main road from London was simply too important for the likes of a level crossing. 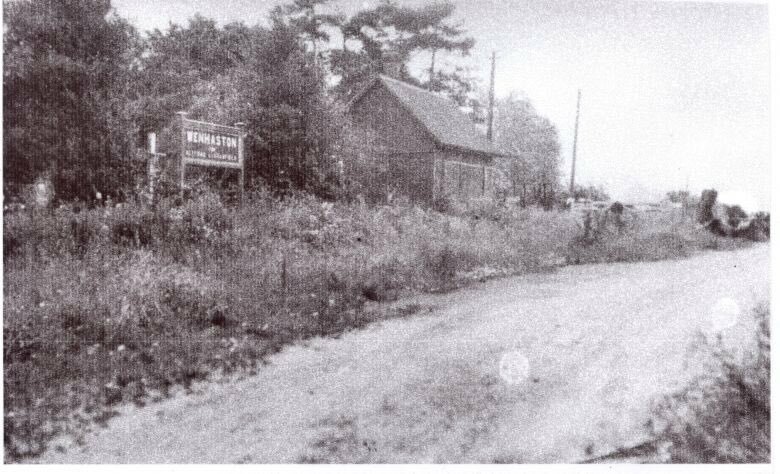 This photograph of Wenhaston station is one of the most notable – being one of the railway’s official pictures. That alone explains why its of such high quality. The engine is of course No.1 Southwold. As the line climbed towards Halesworth the more hilly terrain meant overbridges were necessary (although there was a small one in the Heronry.) In fact the line’s climb from Blythburgh (12 feet above sea level) was in the order of sixty feet and with the line’s summit at Halesworth station at roughly around the 72 foot mark. 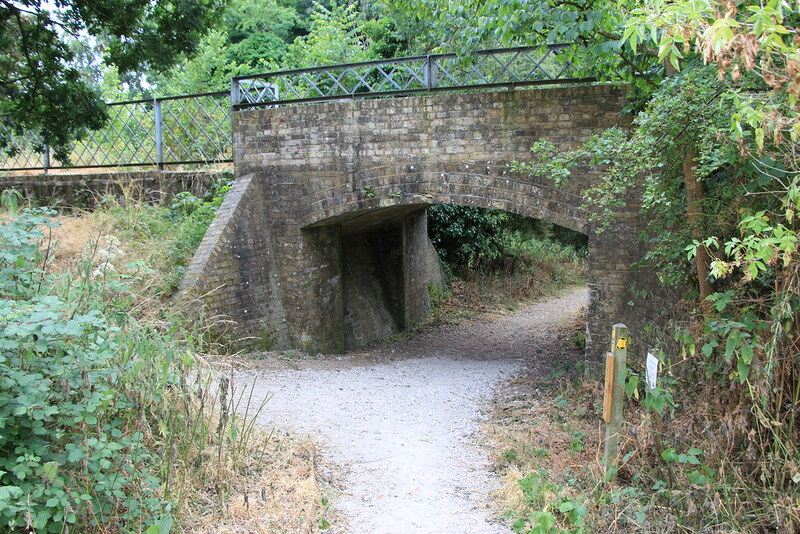 Rather curiously Corner House bridge is never mentioned in the annals of the Southwold Railway ‘s history nor by most authorities on the railway – yet this bridge and its adjacent cutting can be seen on Google Streets. Here’s a tweet however from the HalesworthNGRS that shows it. 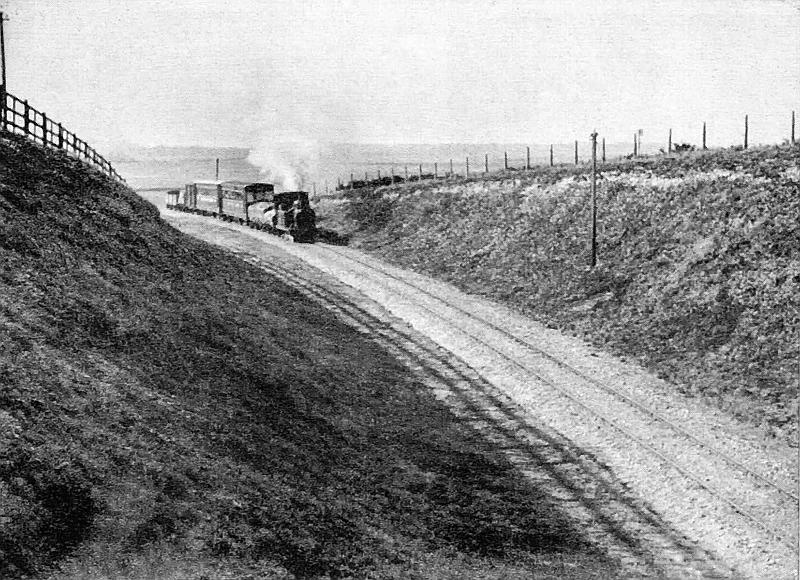 The section westwards from Wenhaston was more steeply graded and there were a number of embankments and minor cuttings to keep the line’s gradients as even as they could be. 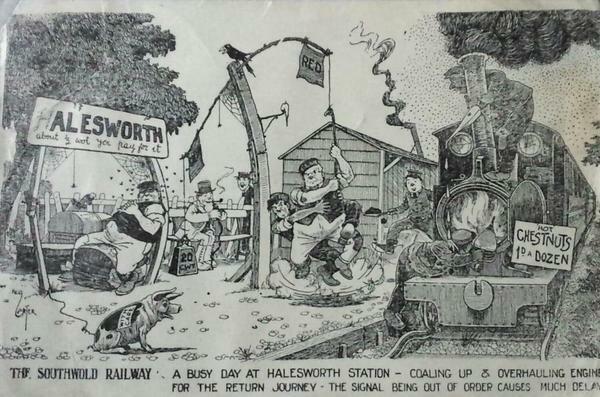 The final bit into Halesworth was on a 1 in 66 gradient – which caused problems sometimes when shunting operations were being undertaken. Although the larger of the overbridges along this section across the B1123 has gone (see tweet news article) the one a littler further east at Birds Folly is still extant. There is a bit of track on top of the bridge itself however this was laid down in 2000. Just beyond here the line meets the Great Eastern Railway and this final section into Halesworth is by all means the line’s summit. For a view looking from beneath the Great Eastern line itself towards Bird’s Folly bridge here’s this nice perspective from Google Streets. 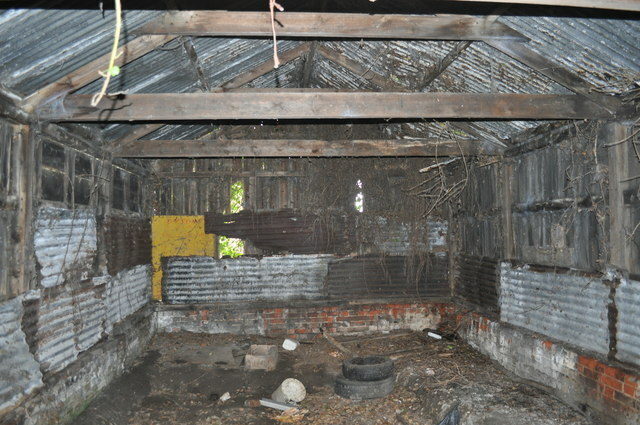 The railway’s other engine shed was just here, on the side of the bridge towards Wenhaston. There was a siding too which served the gravel pits nearby. It is here no.3 Blyth languished in its shed for many years after the railway closed. 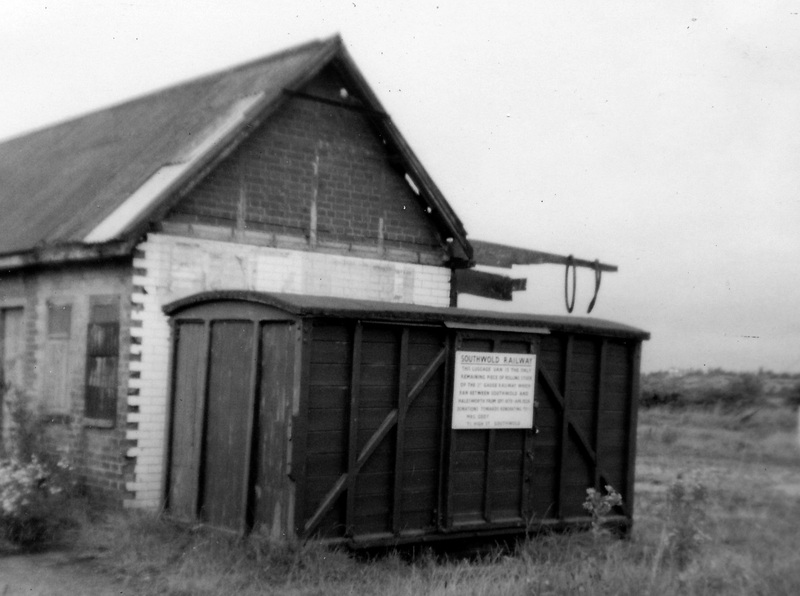 By the time of WWII the shed had gone completely and Blyth was being taken apart bit by bit. The bridge across the B1123 at Halesworth in the late 1930s with its huge advert for the railway still extant. This and the next two were taken by Ronald Shephard, who is discussed in more detail later. See this Twitter post from the Halesworth & Southwold NGRS for a picture of the bridge’s removal in 1962. 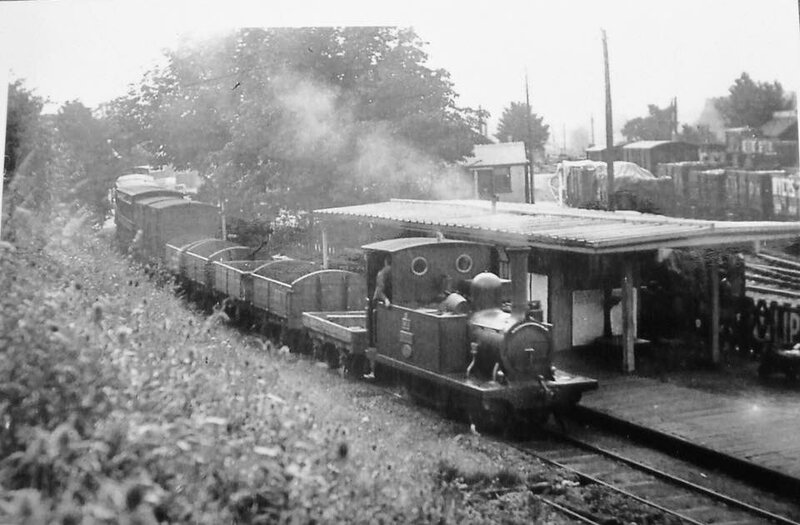 In happier days no.1 Southwold is seen shunting at Halesworth. 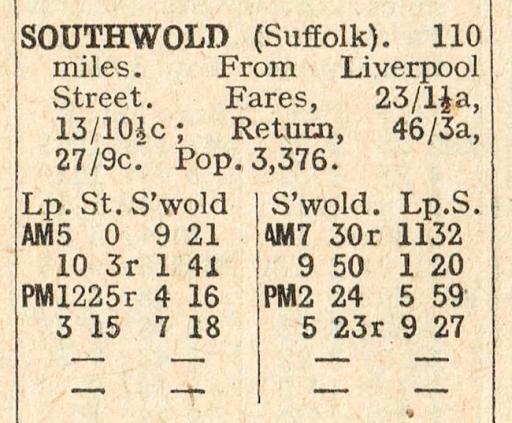 The final Southwold Railway’s timetable can be seen from this entry in the January edition of my ABC Rail Guide for 1929. Generally it was four hours journey time from Liverpool Street including the change at Halesworth. The times of the services barely changed over the years except the later train 7.15pm ex Southwold and 8.00 ex Halesworth no longer ran. Inevitably the less happier days arrived… the final week of the railway. Here is Southwold’s station staff with A. 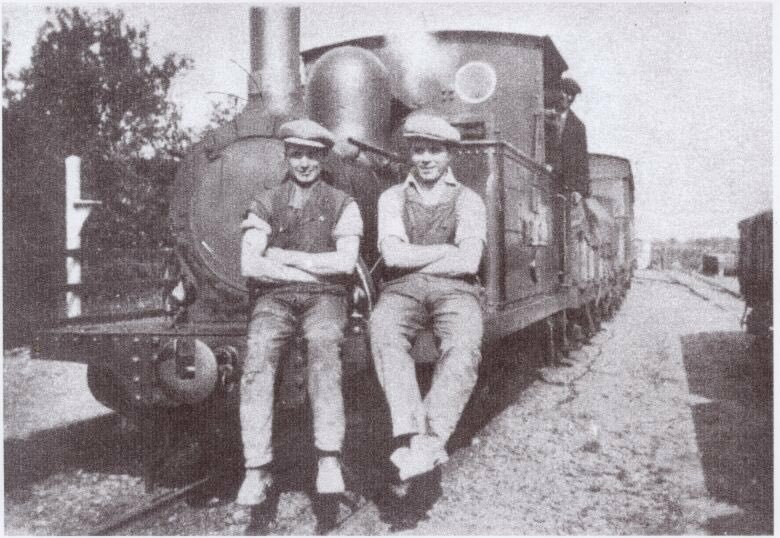 B. Jenkins (at right) with his cine camera ready to record the railway’s last days of existence. It was rued by some the railway did not even reach its 50th birthday. The line shut five months short of that anniversary. The end came very suddenly – the most notice any of the staff had was just two weeks. These were the years of the depression and its perhaps no surprise the railway suddenly threw the towel in. The previous two summers, 1927 and 1928, had been dismal in terms of passenger loadings. The railway did not even bother with any closure notices. It very late in the day that newspapers got wind of what was happening. 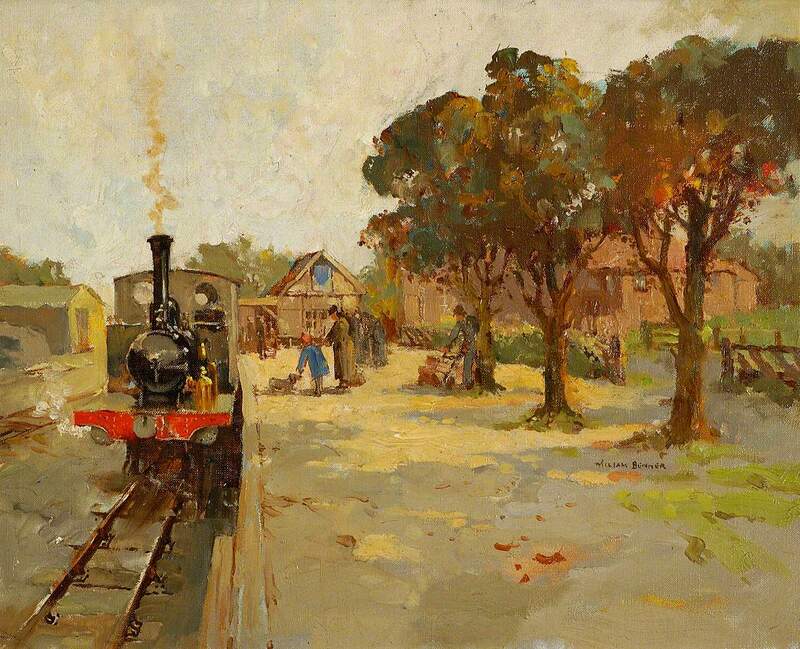 The Southwold railway in Suffolk closes on the evening of Thursday next. 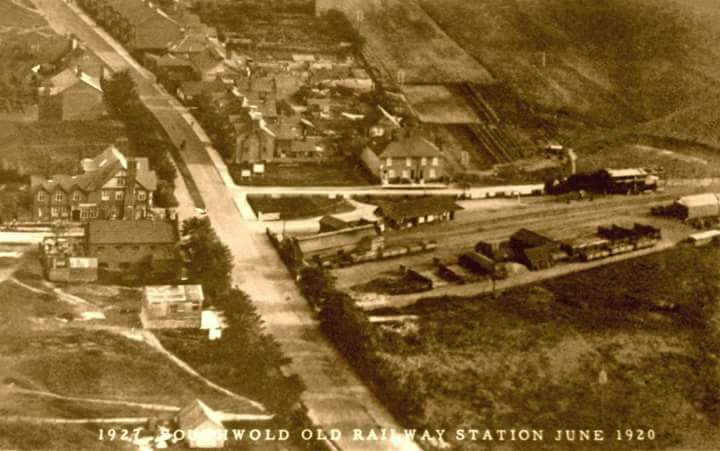 Arrangements have been made by the London and North Eastern Railway Company to preserve through communication with Southwold by an agreement with the Eastern Counties Road Car Company, whose service of ‘buses will run between Halesworth station (L.N.E.R.) and Southwold market place in connection with all the principal trains calling at Halesworth. Source: Manchester Guardian Tuesday 9th April 1929. 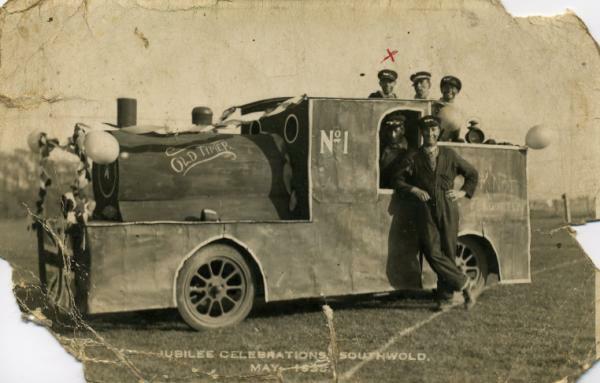 The last passenger train was in the evening of April 11th 1929, doing the usual round trip from Southwold to Halesworth and back. This would have been the 5.23 from Southwold and the 6.41 from Halesworth. The last train had about 150 passengers on it. The return from Halesworth was considerably delayed when it was found none of the lamps in the train’s carriages had any wicks! This meant the train could not proceed until new wicks had been sourced and the carriages lit up for that very last trip to the coast. Many well-wishers waited in the cold and dark at Southwold in order to pay their respects to the late running final passenger train ever to run into the town’s station. Captured on film – huge numbers turned out to bid farewell to the last train ever to leave Southwold. This video is at the East Anglian Film Archives but can also be seen on You Tube. 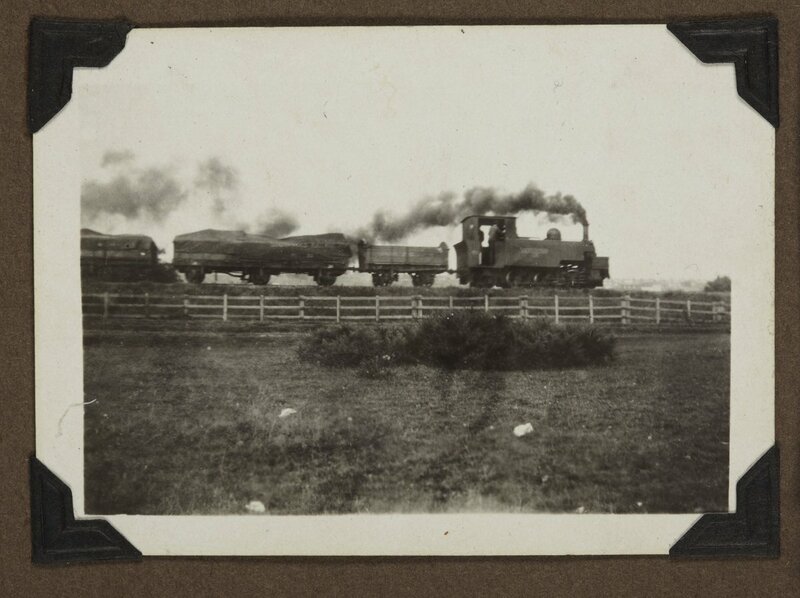 Yes that was the last passenger train – but not quite the final train on the line. Like a lot of the narrow gauge railways in these isles which had officially closed down (but still had matters needing attending to) the Southwold too soldered on just that little a bit longer in order to wind up its affairs properly. No.4 Wenhaston was employed for a further week and half to help sort final goods consignments including coal supplies for customers and clear all outstanding stock from the stations and sidings. 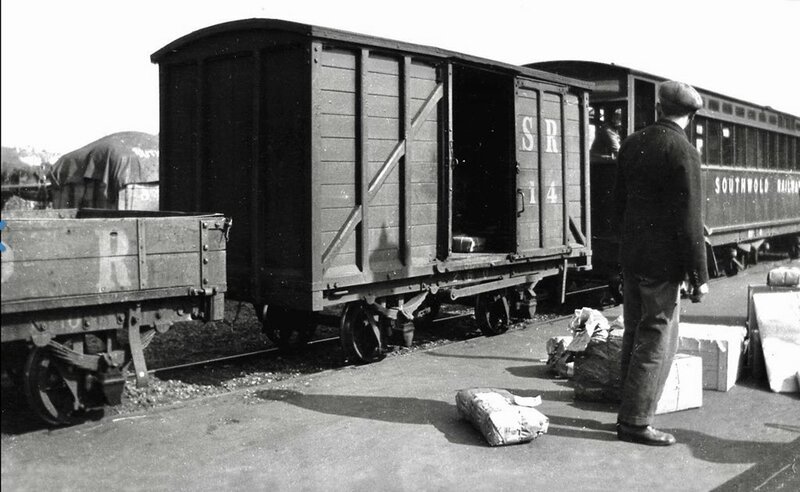 Once this had been done, all of the railway’s rolling stock was moved to Halesworth. 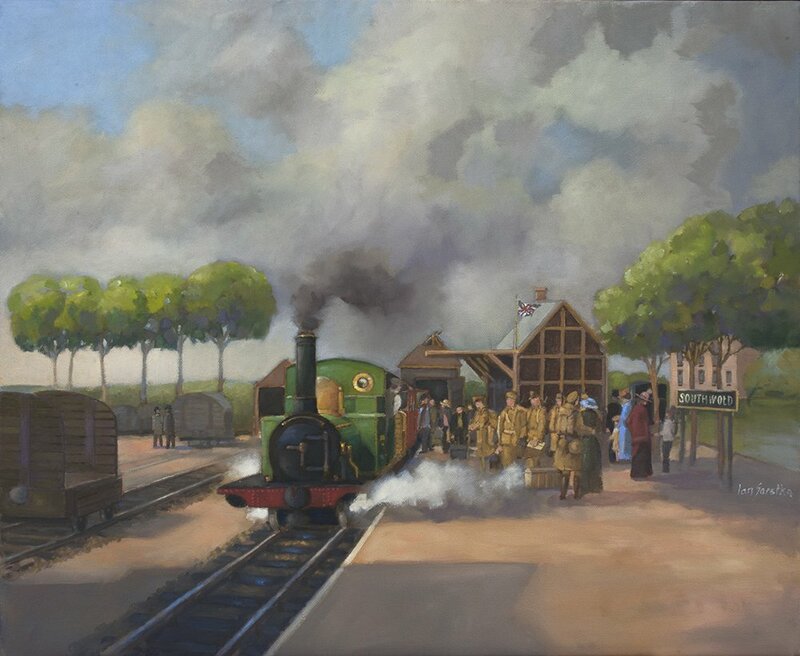 The job was completed on the morning of Saturday 20th April 1929 with Wenhaston returning to Southwold engine shed and everything being locked up for the last time. 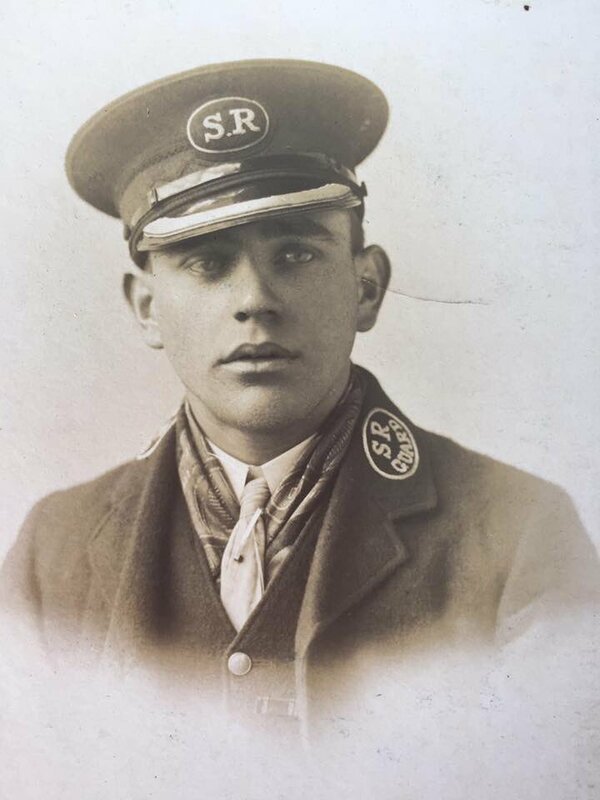 Two of the railway’s staff took up new careers managing garages servicing the railway’s successors – those new fangled cars and motor buses – whilst the engine crews found work at the local mills. The older men found little or no work, this being the years of the depression and employment wasn’t easy to find. After closure the line remained derelict for the next twenty years or so. There were moves to reopen it, none of which came to fruition. Most of the route’s track remained until the early forties. The army blew up part of the Blyth bridge thus the line was severed and that preventing any possible reopening. The most positive move towards reopening of the line had in fact taken place during the latter half of 1929. It was said by Modern Railways a Mr Ronald Shephard of Wimbledon was in negotiation with the railway’s owners and the LNER (for access through their station.) Mr Shephard’s plans were for it to reopen in March 1930 with new carriages used instead of the old. Mr Shephard is well known for having taken a considerable number of photographs of the railway in its dereliction throughout the thirties and some of these are featured in books on the railway and on the internet. He returned to Halesworth for the last time in 1942 to take some final pictures. By that time however any remote prospect of the railway reopening had vanished because of the Blyth bridge’s demise. As the forties drew into the fifties, the railway’s remains were gradually reduced, and by the mid fifties, most of it had gone. The locomotive shed at Halesworth was demolished leaving the one unfortunate locomotive (Blyth) open to the elements and it was slowly taken apart, no doubt for much needed scrap as the war itself drew on. There were still traces of the railway into the early seventies, and this included a part of Southwold station, the railway cutting with its footbridge, the remaining half of the bridge across the River Blyth (this was the fixed span that was not blown up by the army), much of the old Harbour and Blackshore Quay track remained and considerable sections of the old alignment were now a footpath. The most enduring section of track from the railway has to be the bit on the harbour branch. The track lies alongside Blackshore Quay complete with buffer stop. However its in a delicate state for it’s almost sunk into the river and likely wont last many more years. My own photograph of the one and only footbridge in July 1971 – seen 42 years after the last trains had passed beneath it. This structure was actually built from rails belonging to the Southwold Railway. 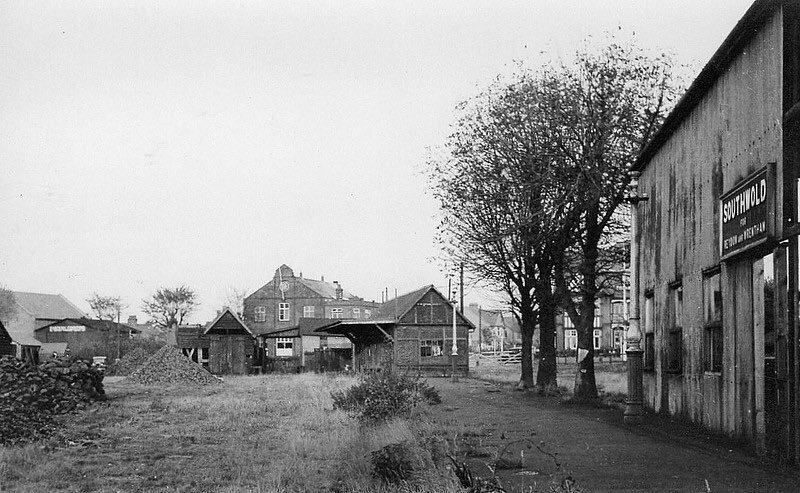 The former gasworks can be seen in the distance and this is where the new museum and operations to rebuild the railway is currently based. A news cutting I saved around 1974/5, possibly from the East Anglian Daily Press. 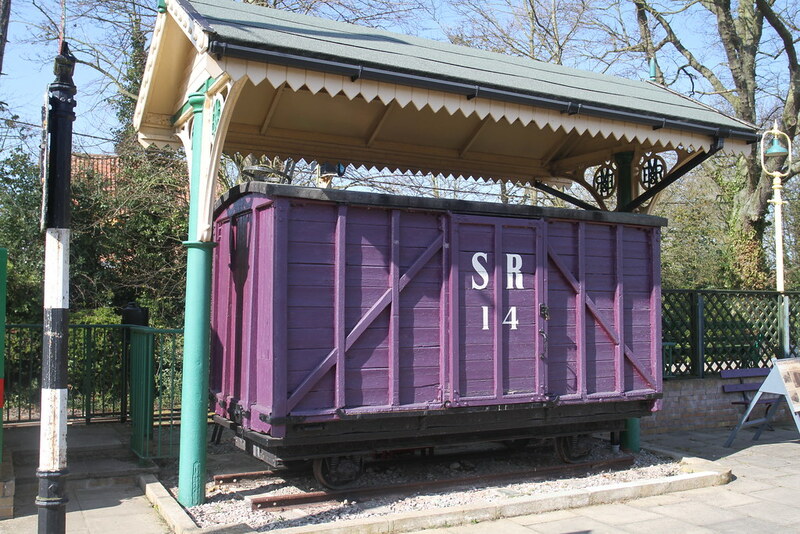 Luggage van no.14 was of course displayed at Southwold for a number of years after having been found. Special 100th anniversary postcard to commemorate the opening of the railway in 1879. 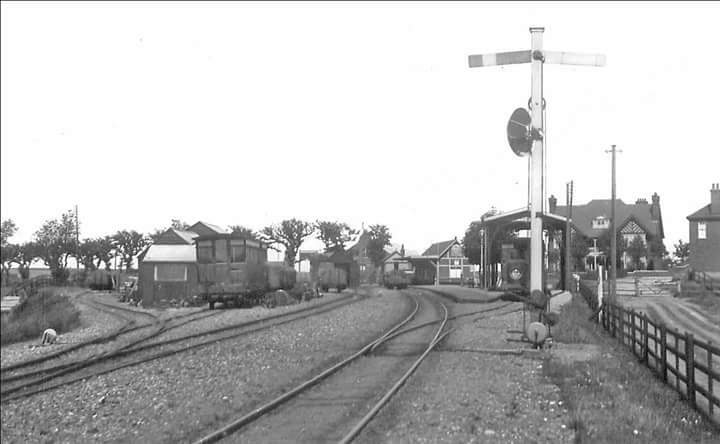 This video at the East Anglian Film Archive shows the celebration of the Southwold Railway’s centenary in 1979. 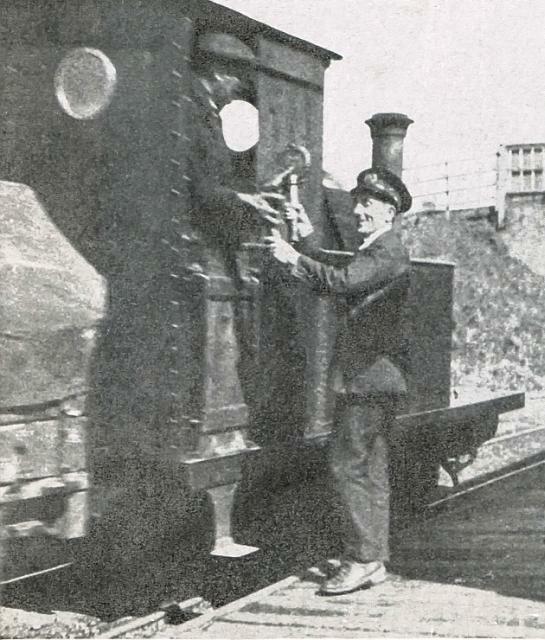 Mr Barrett Jenkins is present as well as the railway’s former station master, Bert Girling, who rings the original station bell. A nice movie on the railway from the Southwold Museum. 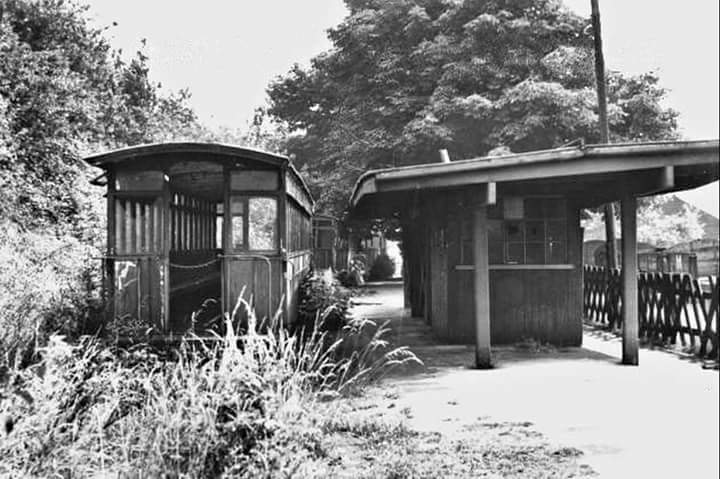 The Southwold Railway Trust is committed to restoring part of the line in Southwold itself. The Halesworth to Southwold Narrow Gauge Railway Society is restoring parts of the former route at the Halesworth end of the line.